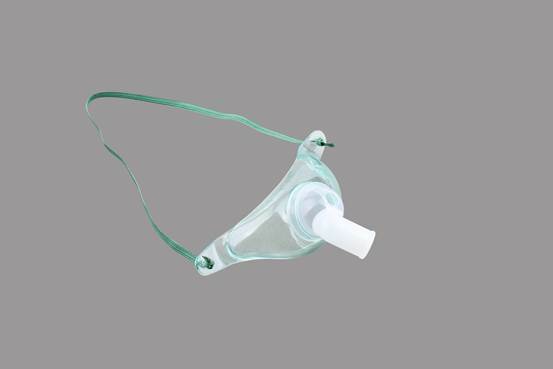 Adult Tracheostomy Oxygen Mask comes with germ-free package; could be disinfected with ethylene oxide. A tracheostomy mask, sometimes referred to as a tracheostomy collar, is a small mask that fits over the patient’s tracheostomy site. An adjustable elastic strap that fits around the patient’s neck holds it in place. Adult Tracheostomy Oxygen Mask comes with germ-free package; could be disinfected with ethylene oxide. A tracheostomy mask, sometimes referred to as a tracheostomy collar, is a small mask that fits over the patient’s tracheostomy site. An adjustable elastic strap that fits around the patient’s neck holds it in place. It has a neckband that is made from a comfortable, non-biting material, and the swivel tubing connector permits access from either side of the patient. Special strap clips allow the mask to be removed without disturbing the patient. To furnish the varying desires of our customers, we are immersed in offering a world class consignment of Adult Tracheostomy Oxygen Mask. 2. Designed for oxygen treatment or aerosal therapy on tracheostomy patient. 2. Be worn around patient's neck over the tracheostomy tube. 3. Tube connector swivels 360 degree for different position of patients. 4. CE, ISO 13485 approved.